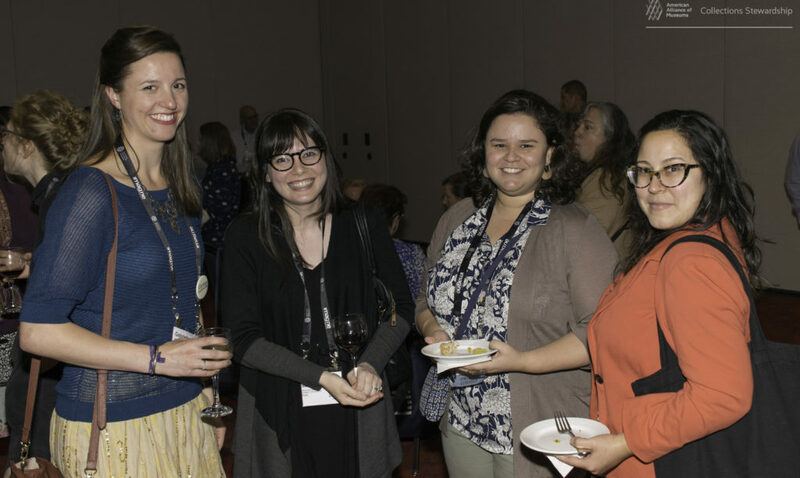 Collections Stewardship is a newly reorganized professional network of the American Alliance of Museums (AAM). The network serves a broad museum community of professionals who advocate for better collections stewardship in museums. Whether your title is Registrar, Collections Manager, Preparator, Collections Technician, or something else, if your interest is collections care, then we’re here for you. Collections Stewardship was formed as the merger of the Registrars Committee (RC-AAM) and the Art Handling, Collections Care, and Preparation Network. The merger and name change was approved by the AAM Board of Directors in March 2017 and announced at the Registrars Committee luncheon during the 2017 AAM Annual Meeting in St. Louis. First, let’s clear up all of the acronyms. It may help you to know that these two groups have a history. The Registrars Committee began in 1977 as a professional network of the American Association of Museums. In the 1990s, RCAAM created a task force that in 1997 separated to become the AAM Professional Interest Committee called PACCIN. In 2015, PACCIN became it’s own 501(c)3 and a new AAM Professional Network, the Art Handling, Collections Care, and Preparation Network, was created. It is this PN that merged with the Registrars Committee to become Collections Stewardship. So why the merger? Changes in AAM’s management of professional networks from 2012 led to a need to reassess the relationship between RC and AAM. A series of discussions about these changes culminated in a roundtable discussion at the Marketplace of Ideas during the 2016 AAM Meeting in Washington, D.C. From this, a task force was formed that resulted in the merger. So what can you expect from this new (old) group? Collections Stewardship will continue to offer the listserv, service projects, networking opportunities and other popular resources, such as the mentorship program and sample documents (through its website). The Collections Stewardship board will explore cooperative projects with nonprofit organizations of like focus, including Association of Registrars and Collections Specialists (ARCS) and PACCIN. However, our work is not complete. The current mission of Collections Stewardship is still the original RC 1977 mission, which was designed to define the profession. The newly merged network will revisit the 1977 mission and consider it from many perspectives. We must be inclusive, we must honestly assess where our profession currently finds itself, and we must set sights for the future of the field. This project will need consultation. Before formal adoption, it will be shared with the CS membership for approval. We hope to have the new mission ready and available for distribution long before the 2018 annual conference in Phoenix. If you have thoughts on the project, and care to make suggestions, please reach out Chair-elect Sebastian Encina at sencina@umich.edu. We are excited to move forward with this, and are eager to continue making Collections Stewardship work for all of us.